For the purpose of this task as Systems Analysis and Design, I have assumed that I have been appointed as a consultant to undertake the responsibilities in Systems Analysis and Designing of “Australian Institute of Technology” (AIT). This is for the given project as outlined in the case study, related to AIT. We are informed that (AIT) is private Registered Training Organisation (RTO) which operates and runs under Mr Wilson Smith and the close members of his family. The organization has its specialization in Information Technology & Business courses offered to both local & international students. Describe and compare at least 6 sources of software. Report the functional and non-functional requirements for the system. Present the costing for this project and the cost benefit analysis. Training Organization Systems (TOS) needs some activities and tasks to be performed. It should be able to automate its logistic process which is comprised of several tasks. From the case study it is clear that The RTO started a few years back after Wilson was made redundant from Department of Education & Training. In-order to utilise his skills and experience Wilson decided to setup an RTO and in this process he was assisted by his wife who is the retired school teacher. The RTO started with just Wilson and his wife, however as they started to add more students, additional staff were hired. Initially all information regarding students, staff, agents, admissions, enrolments etc. was maintained using paper based files. All processes and systems within the RTO were manual; however these have started taking their toll on Wilson and his retired wife. As the RTO expanded the compliance requirement grew and accuracy in capture and report of data became very crucial. As RTO’s popularity increased Wilson wanted to expand operations to Brisbane, Gold Coast & Sunshine Coast. Another functional requirement is related to the AIT staff which prepare offer letter depending upon the program and campus selected by the student and send this to the student or agent requesting the offer letter. If the student accepts the offer then fees is collected and a COE (Confirmation of Enrolment) is issued to the student / agent concerned. The student then arrives at AIT and their enrolment is completed and they start their program by attending face to face classes. Attendance of students is tracked during their study. Subsequently as students’ progress through the program their grades are recorded for each course. Once the student finishes all required courses they can apply to graduate. Other functional requirements are related to the recruitment agents, who are paid commission for recruiting students for the RTO. The agents are required to submit invoices for the students they have recruited. The RTO checks these invoices for accuracy and invoices are paid past the census date. The system has to be automated and as of now there are many details which are currently recorded manually like student details – name, addresses, etc. The visa & passport details, fee details, COE details, education details, English proficiency details, visit and interaction details. Students referred / recruited by each agent. The system should be able to resolve this issue. The existing manual entries, records and manual registers which are very troublesome in the search will be put online so that the client gets answers accurately and quickly. An important non-functional requirement from the system is to improve the turnaround time for the clients’ requests. Currently the turnaround for has been lengthening due to manual system of operations. So the system should improve the manual process and provide a better solution. Other non-functional is the 24X7 operations as the AIT may like to support its domestic and international students round the clock. It was proposed that the Training Organization Systems (TOS) to provide solution to AIT which can be handled through off-the-shelf solution. The requirements, both functional and non-functional, can be met through the purchase, installation and deployment of the selected product (Bentley, 1997). It is possible that some slight configuration is required before AIT may start using the solution. So the product price, installation, configuration, deployment and training have a cost factor involved. But, the overall cost is expected to be lower than the bespoke or outsourced solution. For one, the former one can be used almost immediately as there is no development time lag. There are chances that the new software made recently hits some unforseen bugs and produces the costly outages (Batrol and Matin, 1992). The total Benefits at the end of 15th year is 3283.27. From that point it keeps increasing. 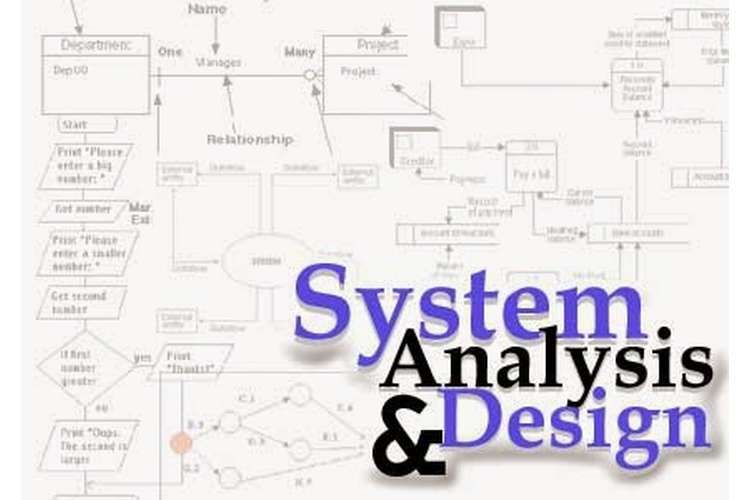 The System Information Requirement Investigation Techniques can be best explained from the stages which are undertaken in the conventional model. There are proper stages which are run sequentially as Planning, which includes Feasibility analysis and testing the project viability. The total duration is estimated, along with the cost and the required resources. Based on this study the timeline and the required budget is estimated and it is determined whether it will be possible to implement the project within the stipulated budget or not. During the analysis stage it is also decided whether the project will be developed by in-house developers or outsourced to an external agency or a out-of-shelf-solution will be used. The next stage also assists in this decision which is the requirements stage. Since some stages are overlapping so sometimes a rapid application development technique is used. It is possible that these stages are undertaken in parallel unlike the sequential conventional model. In the requirements stage all the requirement specifications are collected and signed-off by the stakeholders. Based on the requirements, the Project Team is formed which may include developers, testers and analysts. Another technique in the information requirement investigation is to ascertain the system requirements. This includes the gathering of functional and non-functional requirements. Functional requirements specify all the tasks related to the project and non-functional are system specific like performance metrics. The Project gave a tremendous opportunity to learn and implement the real time systems which would benefit the organization in the long run. From the system investigation and analysis it was decided that the off-the-shelf project will be used to implement the Training Organization System. The system will support all the requirements as identified for the project. A project team was planned who would implement this project as per the Project Schedule. The project schedule was made using the MS Project. The costing was done and the cost benefit analysis was presented. The cost benefit analysis was done using excel. (2) Batrol, K.M. and Matin, D.C. (1992). Management, McGraw-Hill. (3) Megginson L.C. (1991). Management, Concepts and Applications, Harper Collins PubTOShers Inc.